This mollusc has been consumed for millennia. Sometimes seen as a food for the poor, its reduction in availability over recent decades has led to its rise as a more exclusive culinary luxury. Nonetheless, whatever it’s historically fleeting association with status, I see it as a timeless and simplistic treat, emblematic of the sea and evocative of coastal living. 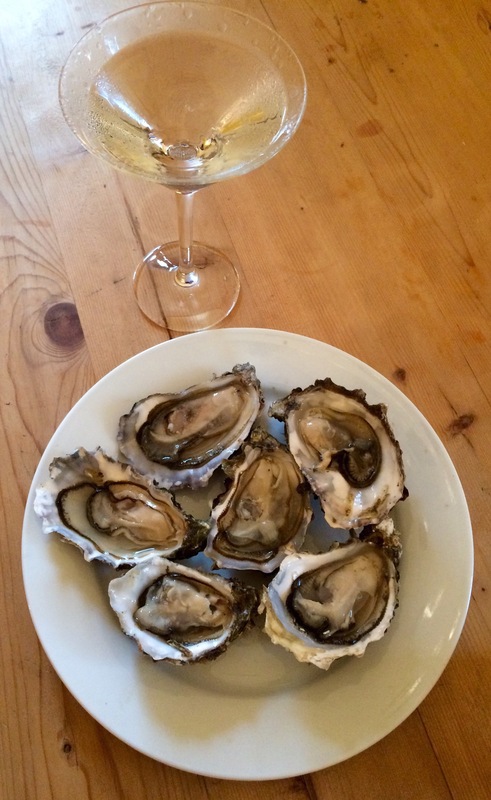 Of course, oysters might not be to everyone’s taste, so I’m willing to concede that other nibbles might be preferable to some members of the public. Indeed, I think they go nicely with plain salted crisps to provide a crunchy carbohydrate counter-balance to their silken briny protein. 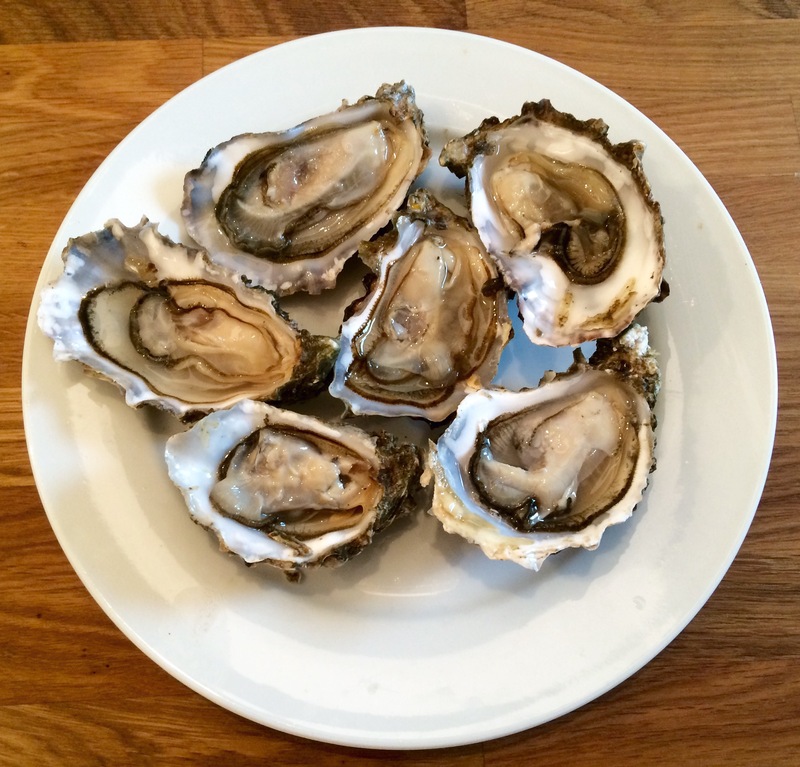 However, the rest of this post is for the oyster lovers of the world. 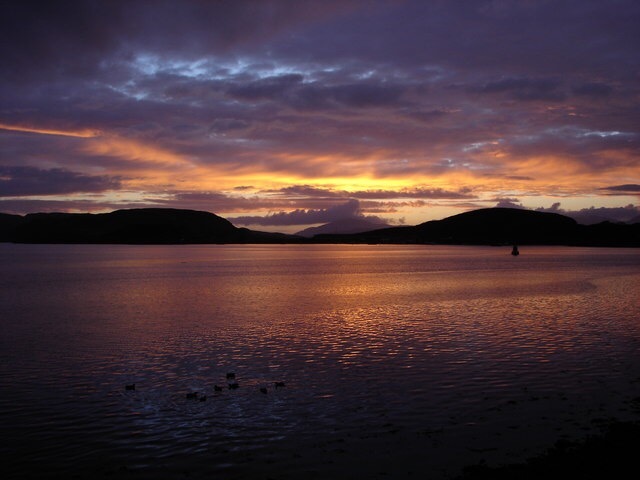 I am currently in the Hebrides. 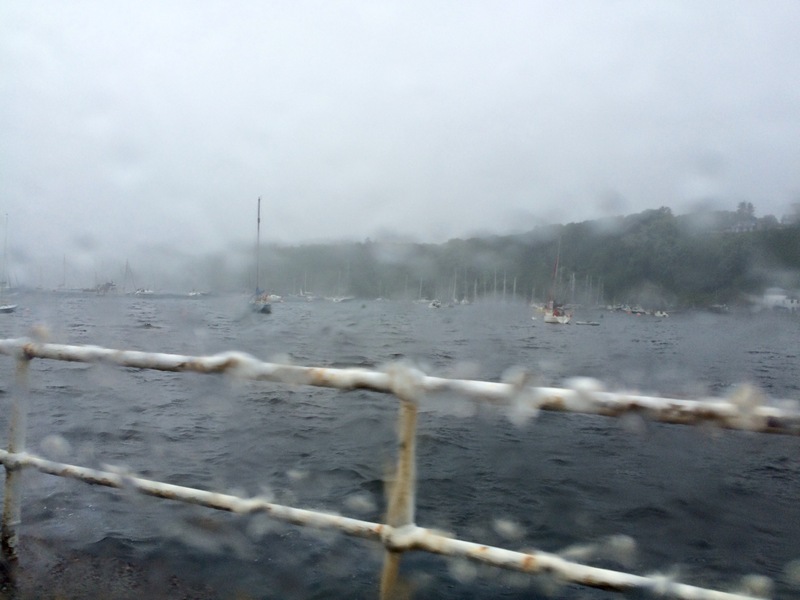 We may not have the best weather, but we do have amazing seafood. 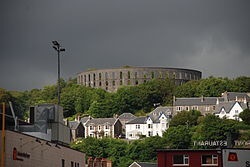 My parents returned from a trip to the hugely underrated town of Oban, one of the principle ports on the mainland for taking a ferry to the islands. A Victorian seaside destination, the place has developed a reputation for being a little bit rough over recent decades. Nonetheless, having worked in a bank branch in the town for several months I had the opportunity to meet lots of locals and I found that there is a strong community feeling and lots of interesting places to eat and drink. There are some beautiful buildings on the waterfront and a striking folly on the hilltop. The town is also sublimely situated. Anyway I digress. 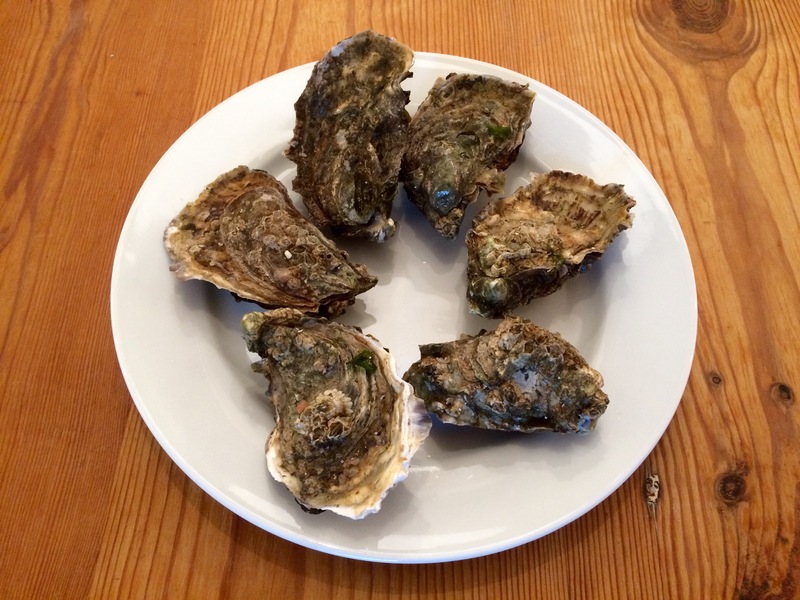 My parents brought back a bag of oysters from Watts – a family run fishmongers located in a very small building just off the main Caledonian MacBrayne pier. I always buy fish from here when I’m heading back to the islands. 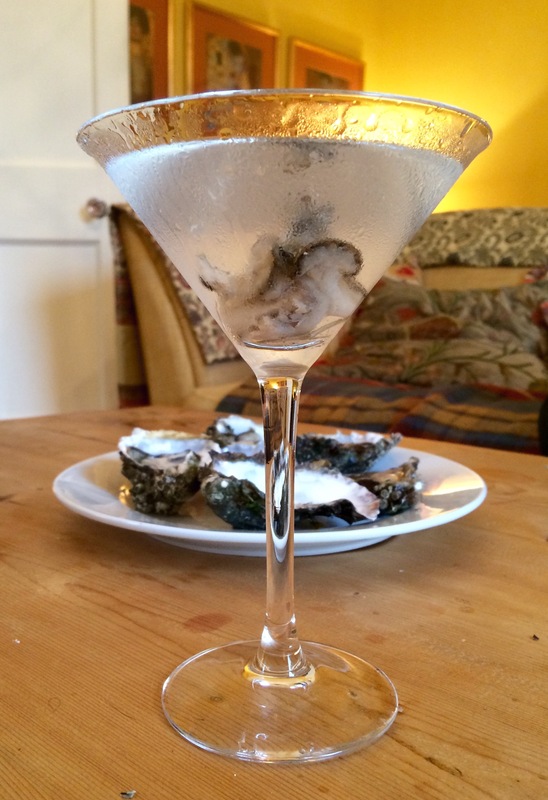 We thought the oysters would make a perfect accompaniment to a martini. 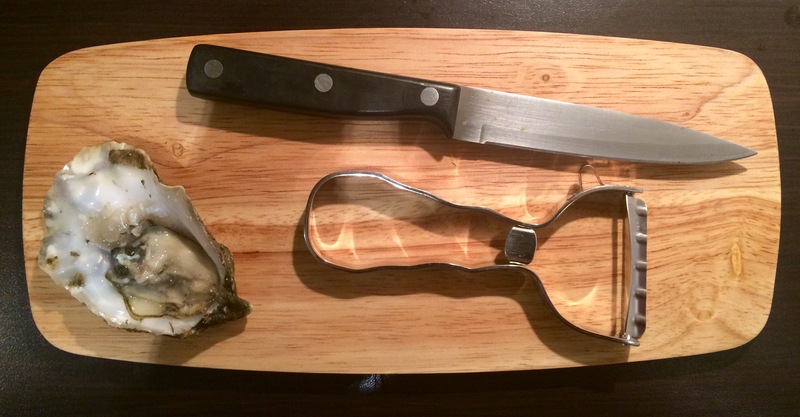 Get yourself a shucking knife (above), a tea-towel and a solid surface to work on. Have a plate nearby to place the opened oysters onto as well. Wrap the towel around the oyster to hold it still. 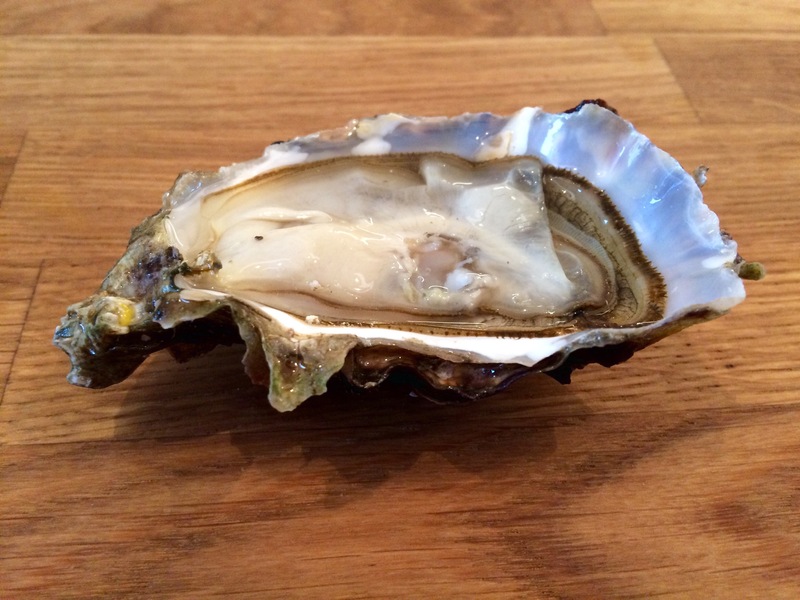 Have the flat side of the oyster shell facing upwards. 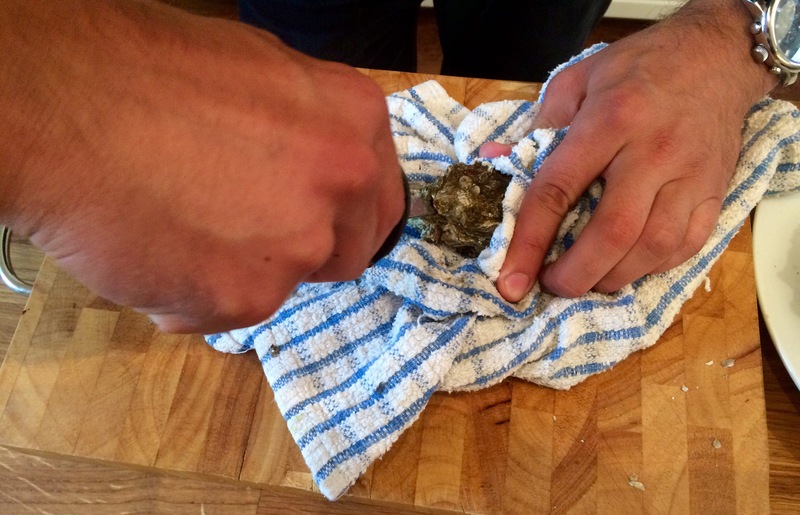 Use the shucking knife in the other hand and insert it into a gap between the two shells near the hinge of the oyster. Press it in carefully but firmly until you feel the faint ‘pop’ of the hinge tendon being severed. 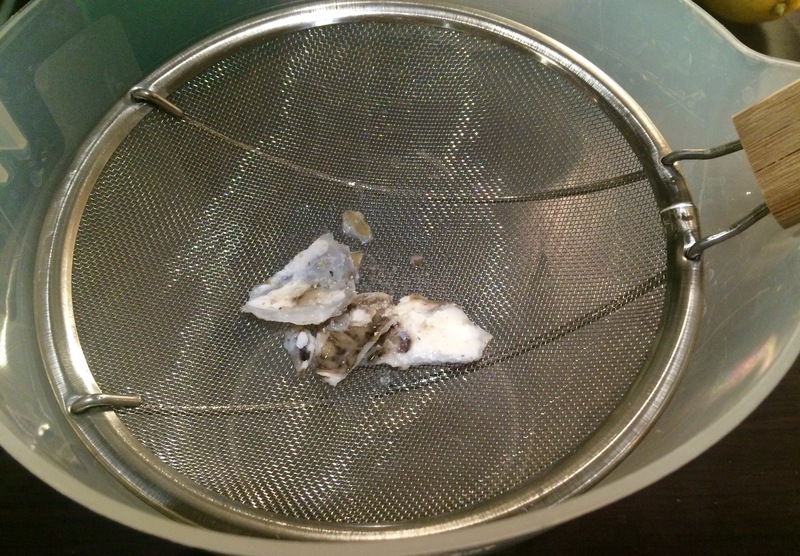 Slowly prize open the shell and use the knife to cut and scrape the oyster flesh away from the top, flat shell, allowing it to collect with the brine in the cup-shaped lower shell. Remove the flat shell completely and discard. 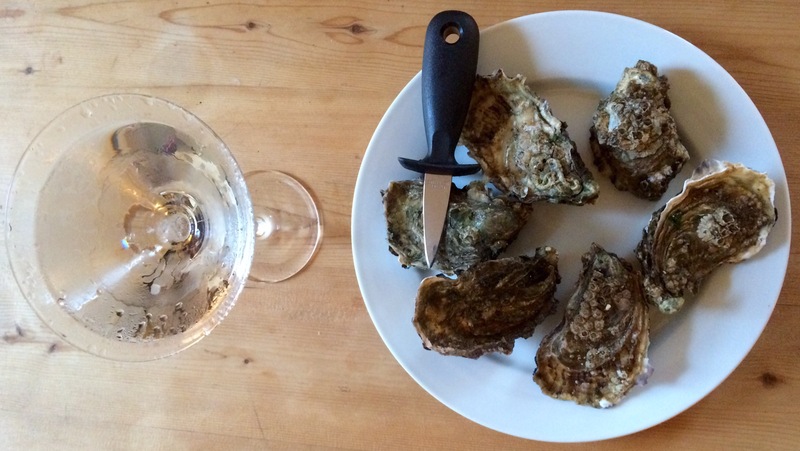 Arrange the oysters on a plate. If you have crushed ice to hand you could put this on the plate and place the oysters on top to keep them cool. You could also add garnishes and sauces. 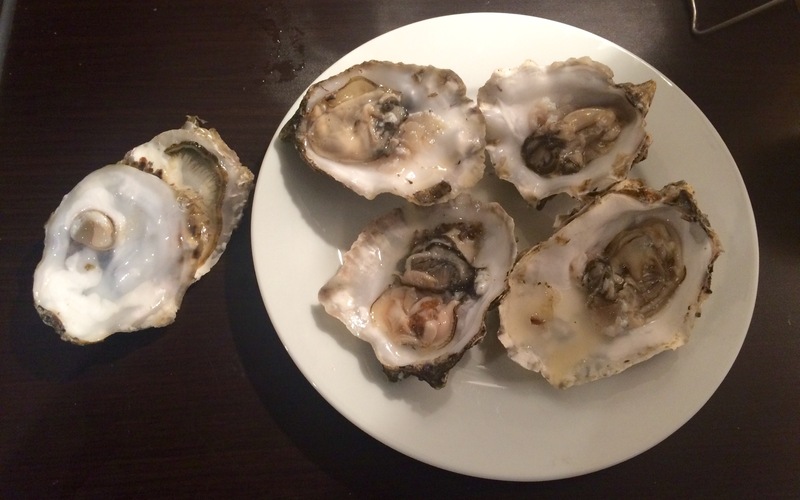 However, my family are purists and we like oysters because they taste of the sea. 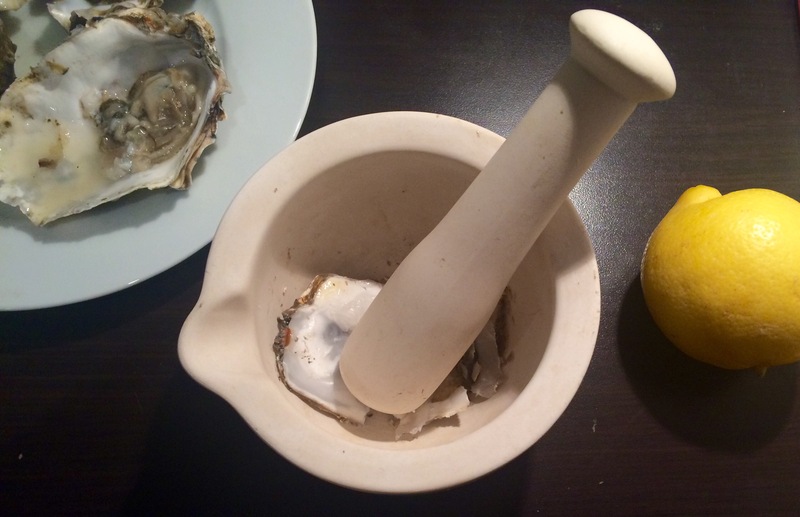 If pushed, I might be tempted to squeeze a wedge of lemon over one or two oysters but otherwise I prefer the simple flavour of the brine. 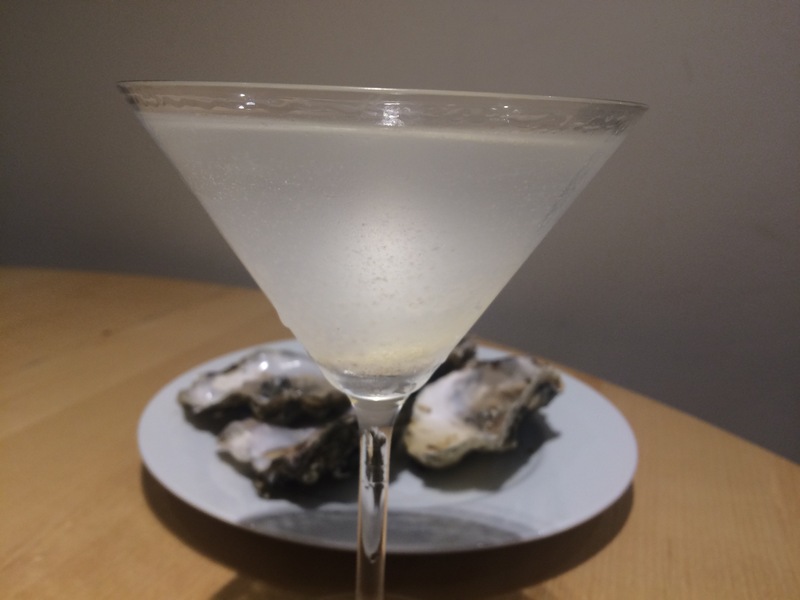 The saltiness goes very well with a martini, especially a classic martini with a generous squeeze of lemon oil in the glass (see here for further lemony detail). 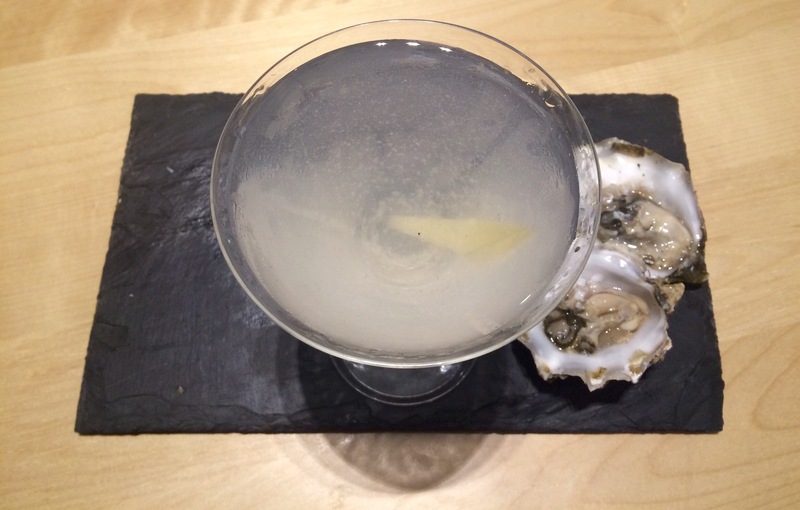 A raw oyster even makes an interesting garnish. Not for the squeamish, it created a briny alternative variation on the dirty martini recipe. As an additional note, it has been argued that eating raw oysters is not cruel because they do not have a central nervous system and are not subjected to any pain in the process, so you can enjoy this ancient luxury guilt free. Phew! And you too could find yourself with a significantly reduced central nervous system if you drink enough martinis. Enjoy!